Inspired by their travels to East Africa, Jeremy and Lindsay Weaver wanted their home to reflect the values they learned abroad: "living with less to experience more." 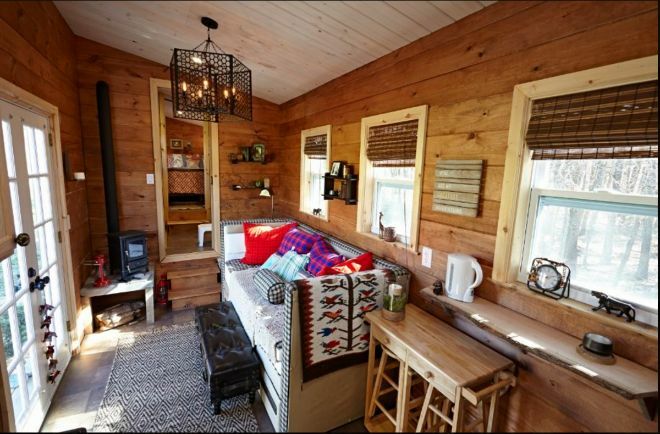 While they were ready to commit to tiny living (and Jeremy and a friend founded Wind River Tiny Homes to enable others seeking tiny living solutions to construct the homes of their dreams), the couple faced some unique challenges when designing their own dwelling; according to Tiny House Nation on FYI, Jeremy is well over 6-feet tall, and Lindsay is an avid baker — meaning she needs as much kitchen space as possible. In addition to the logistical obstacles, the Weavers wanted to incorporate as many keepsakes from their travels into the decor as possible. Luckily, they were able to do so with the help of Tiny House Nation. 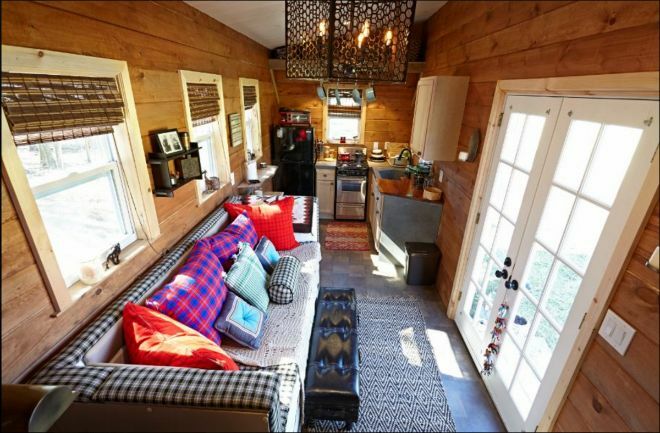 Lindsay writes on Amani Ya Juu News, "When asked how we like living in a tiny house we say with hardy smiles that we adore it." 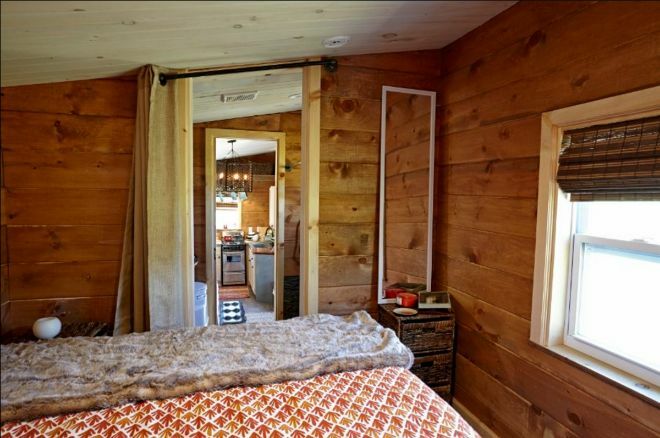 The 275-square-foot trailer has 13-foot ceilings to accommodate Jeremy's height ("He may be tall but not that tall, mercy," Lindsay writes) and a spacious, open floor plan. The pillows on the couch are all made of Masai fabrics from Africa, reminding the Weavers of where they've been and where they're going. 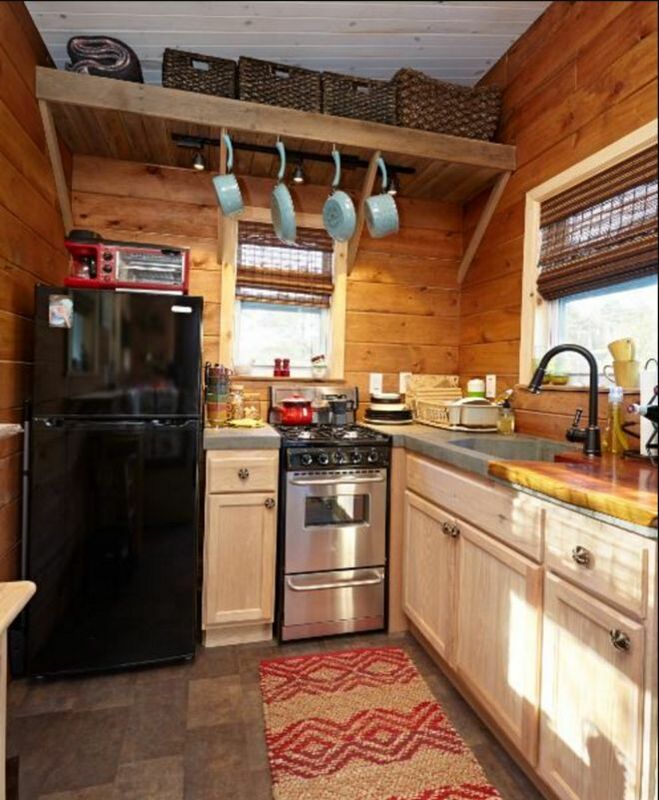 The fully-equipped kitchen gives Lindsay ample room to bake and is absolutely gorgeous. 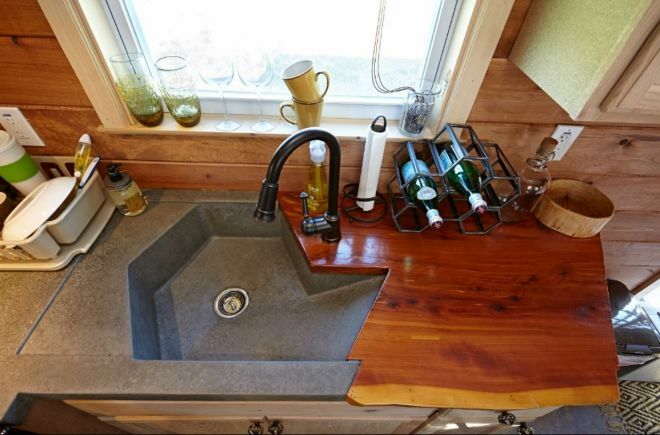 That sink and the way it connects with the countertop is just stunning, don't you think? 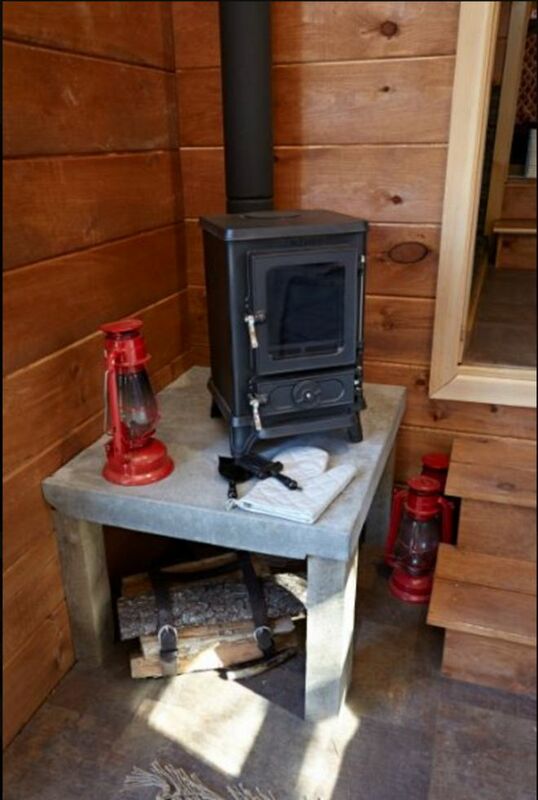 This wood-burning stove keeps this cozy home warm and toasty. 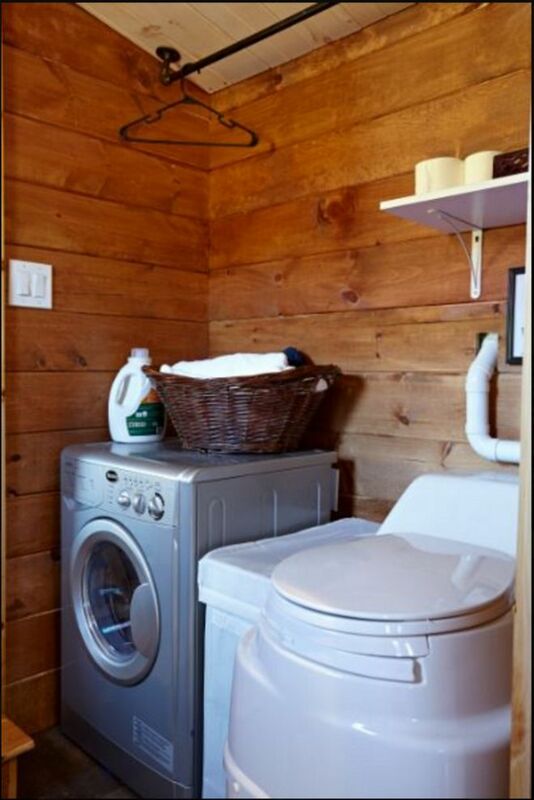 As you can see, there's even a laundry machine in the bathroom. 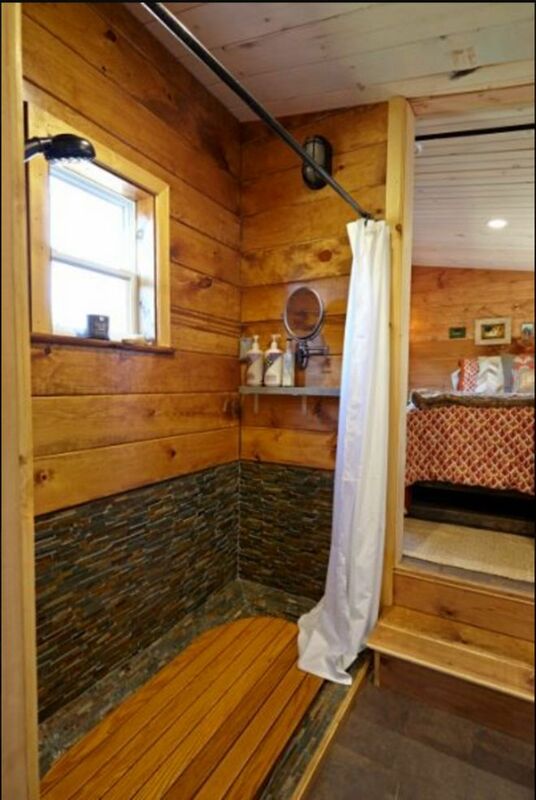 The contrast tile and wood paneling in the shower is simply divine. 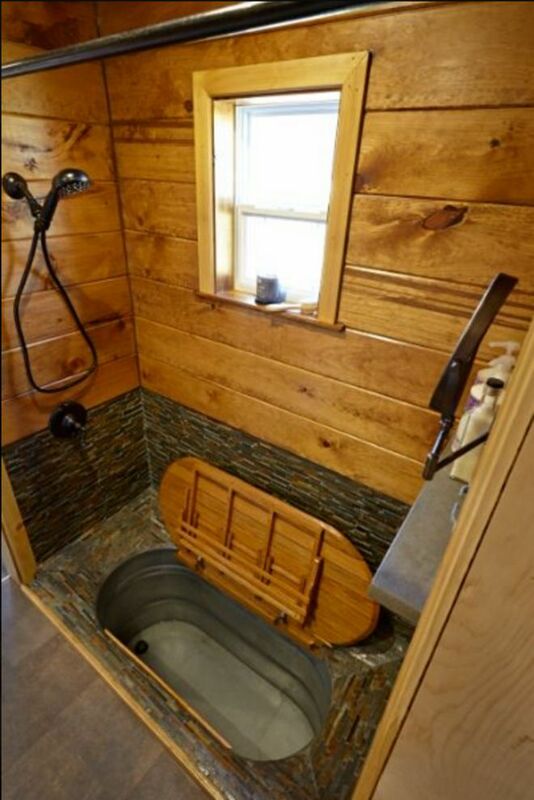 And there's even a surprise tub! 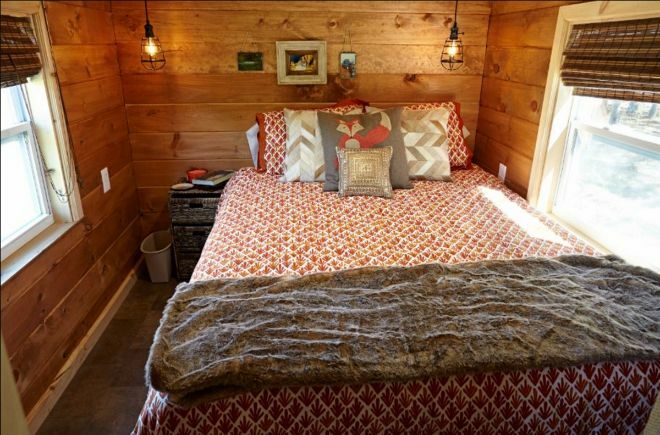 Surprisingly, this bedroom fits a king-sized bed with space to spare, and the rich earth tones make it feel warm and inviting. "We have a whole new approach to life that we feel is more simple, yet more responsible. 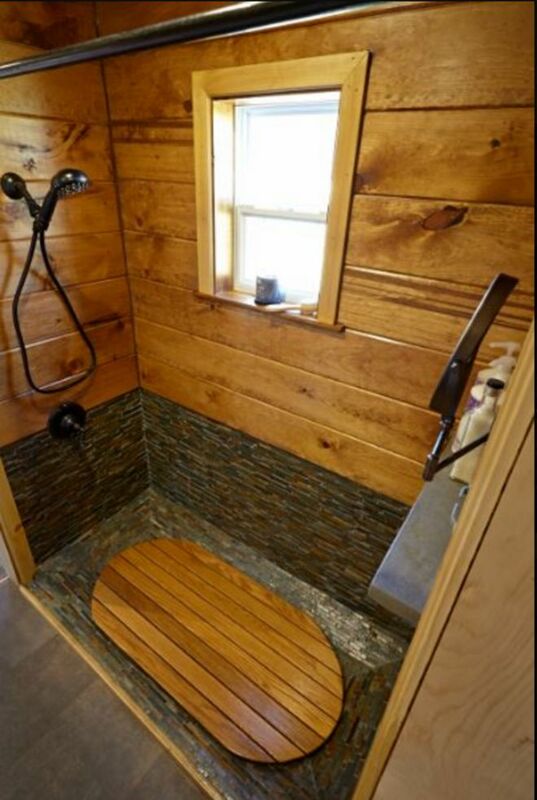 We compost our food scraps, and we have a grey water system so we are careful what cleaning products and soaps we buy. 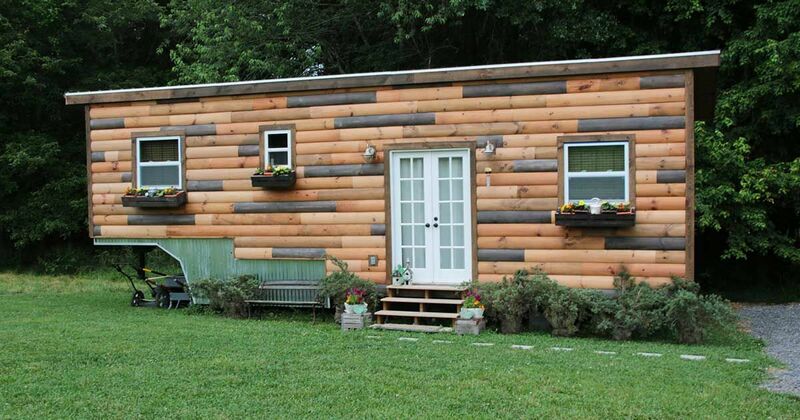 We have also found that the tiny house community is of a kindred spirit. They tend to be people who are genuine, inspirational, and value relationship over possessions." 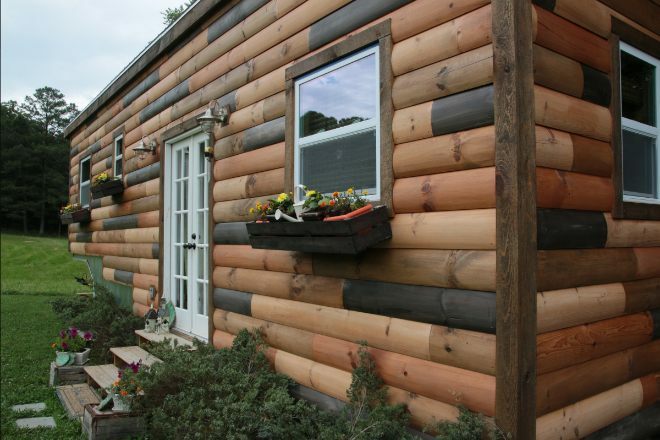 Would you choose to downsize like the Weavers while holding onto what truly matters? Don't forget to SHARE with other tiny living enthusiasts!